Panache showcases the very best design, with large windows to ensure that rooms are filled with natural light, without sacrificing privacy. 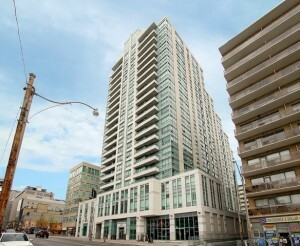 Suite 1603 has a fantastic layout with unobstructed, panoramic downtown and midtown views. Panache features a variety of amenities, including a 24 hr concierge service, indoor swimming pool, sunbathing terrace, exercise facility, party room, and an area for barbequing.